The purpose of the military is war. The first and final duty of every soldier is to put his body between his loved ones and the ravenous reaper of war. It is to run towards the sound of the guns where everyone else is running away from it. It is to stand fast at the gates of fire, or breach them. And he must do this with a body of soft flesh and brittle bone. In an ideal world, the SAF would be fully manned by highly-paid, highly-motivated volunteers who know exactly what they signed up for. Or, better yet, there would be no need for one. We don’t live in that world. Therefore, we must rely on conscripts. National Service is often criticised as a waste of time, and likened to slavery. Yet without National Service, there wouldn’t be a country and a society that allows you to level such an accusation. 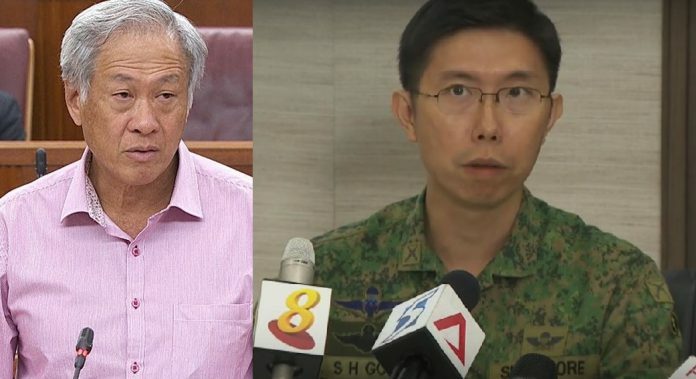 At the same time, because conscripts serve not out of free will but out of legal obligation (and fear of punishment), commanders (especially those who have volunteered) are obligated to return every Singaporean son alive and well to their parents. Compounding matters is that the ubiquity of service cheapens public perception of service. In the United States and elsewhere in the West, tell someone you’re a soldier and they’ll thank you for your service. Tell a Singaporean you’re serving NS and they’ll commiserate with you and tell you that the years will pass before you know it. Having never faced a true existential threat in living memory, and lacking a culture that honours its warriors, Singaporeans care little for the military. Until someone dies, at which point the usual torrent of anti-government and anti-NS sentiment will flow like water from the Ganges. The SAF faces two seemingly contradictory problems. To deter and defeat aggressors on the battlefield, soldiers must be trained under conditions that replicate combat as far as possible. But the closer the SAF walks up to the edge, the higher the risk and the higher the number of casualties. At the same time, the SAF faces immense political pressure to avoid training casualties. And one of the easiest ways of doing this is to step down training. Hence, the ongoing safety timeout. There’s no easy solution. The military is by definition a high-risk profession. Zero risk training is impossible — not if you want to have a military more substantial than a paper tiger. All the same, there have been 9 deaths in the past 16 months. 3 suicides, 1 victim of abuse, 1 accident, 4 training deaths. 9 deaths in 16 months in peacetime is too many. Can more be done to prevent deaths? I hope so. For starters, if any death or injury were caused by negligence, deliberate violations of safety regulations, or other acts of omission and commission, the people responsible must be held accountable. Calling for the resignation of ministers and top military officials is too much. There is nothing they could have done to prevent the deaths in the moments leading up to the incidents. But the people of Singapore expect leadership from their elected leaders. Take away the suicides and the accidental fatality, and there are still 5 deaths in 16 months. Press releases and statements of condolences are only the beginning; to restore faith in the government and the military, this trend of deaths must cease. What else can be done? Review of operational procedures; redesign of vehicles, equipment and facilities to meet environmental, health and safety requirements; encouraging a culture of safety; drilling into small unit leaders (who are themselves almost always conscripts) the importance of safety; issuing more guidelines and directives; the list goes on. 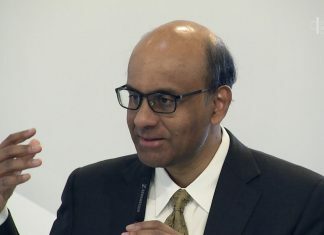 In a top-down society like Singapore, the leaders at the top must drive positive and permanent changes, and must be seen to do so. I hope these changes are enough. But at day’s end, the overwhelming majority of SAF personnel are 18 to 21 year old males. Teenagers pumped full of testosterone and convinced of their personal invincibility, in a profession that requires such a mindset for mission success. And the purpose of the military is war — and proper training for war takes you up to the edge. I’m not going to sugarcoat it. As much as I pray that there won’t be another death in peacetime, on a long enough time scale there’ll be another casualty. All that can be done is to take every reasonable precaution to prevent training casualties without compromising effectiveness, to punish those whose actions or lack thereof led to avoidable deaths and injuries, and to take ownership of the results no matter how glorious and tragic. There’s only so much we, as limited beings, can do. Benjamin Cheah is a noted science fiction and fantasy author who writes under the name Cheah Kai Wai. One of Cheah’s stories, FLASHPOINT: TITAN was nominated as a finalist of the prestigious Hugo Awards in 2016. This commentary was first published here. It has been re-published with the author’s permission.